Traditional Thai herbal inhalant. Essences extracted from 100% herbs, selected quality for the best efficiency. 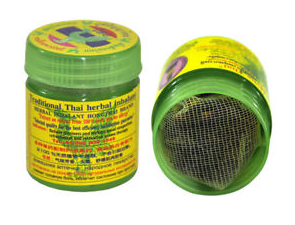 Properties : sniff for refreshing from various Thai herbs blood circulation, faint relief, fever, and stuffy nose. 15 types of dry herbs and other essences.